Helen Keller and Annie Sullivan are a couple of characters you learn about in elementary school and promptly forget about. 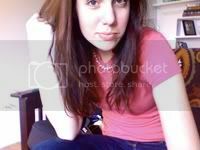 Unless, of course, you are Sarah Miller. 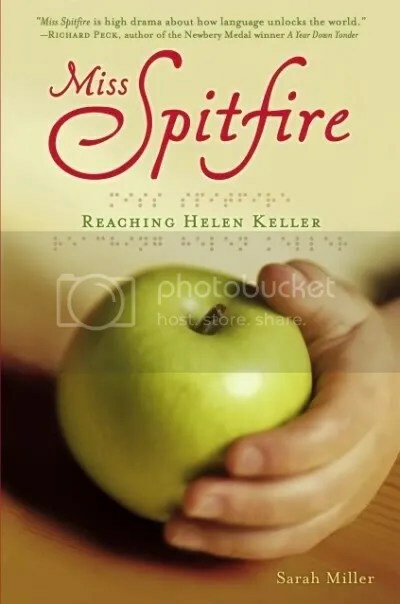 The story of how Ms. Miller came about writing this book is charming, and after finishing Miss Spitfire in record time, I caught a little of the Helen Keller bug myself. In case you forgot your elementary schooling, Helen Keller was born in 1880 and was stricken both deaf and blind by an illness at 19 months. Until she was six, Helen was allowed her run of her family’s wealthy estate. She ate food off other people’s plates, threw inconsolable tantrums and was virtually unteachable. Her parents were heartbroken and fearful that their daughter was not living a happy or healthy life in her state. So when they learned of another girl, born deaf and blind, had been taught to read and write, they inquired to his teachings and Annie Sullivan arrived later. But Miss Spitfire is Annie’s story not Helen’s, and she certainly has a story of her own. I had no idea that Annie Sullivan was once blind. And only after reading this book did I think ever stop to think about what it would be like to live a life free of stimulus – how maddening to have emotions but no way to verbalize them, to have thoughts but no words to think with. This story is powerful because of both its historical context – Annie and Helen would begin as enemies but proceed through life as constant companions – as well as the emotional pull. Could not put it down! Buy this for: Budding ASL learners, your small siblings or cousins who acted in The Miracle Worker , or teachers of any shape or size.